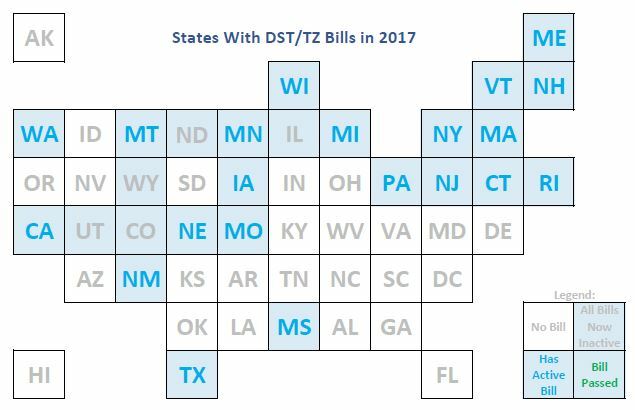 Posts with complete coverage of the state of legislation relating to DST. May contain some new information, but almost always contains a run-down of all states with legislation. For a more brief posting with only current changes, see the Legislative Update category. 2016 wasn’t quite as active as 2015, but there was definitely some activity. The first Legislative Summary podcast of 2016 is now online, highlighting 6 bills in 4 states. You can view the podcast feed, or play it from the podcast web site. 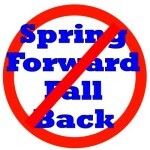 Tuesday I posted a podcast summary of all Daylight Saving Time state legislation to date. It brings you up-to-date on everything that has happened in 2015 — in under 15 minutes!